A fire broke out in a chemical godown in the eastern part of the city on Monday evening, but no casualty was reported, an official said. “The fire broke out at about 5.23 p.m. 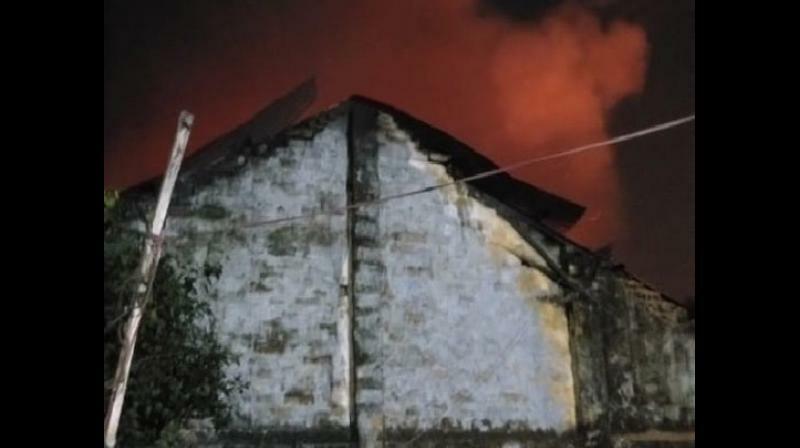 Ten fire tenders were pressed into service to douse the fire,” a fire brigade official said. According to him, although the exact reason of fire is yet to be established, it seems that the huge amount of inflammable materials stacked inside the godown might have led to the fire. No injuries have been reported so far, the official added.